8th Grade Candle Fundraiser - Order by November 29th! Are you looking for a great affordable way to get gifts this holiday season? The Eighth Grade has a solution for you! This holiday season the Eighth Grade is selling candles to help fund Eighth Grade activities. Click on the title for more information. Click on the title above to view the flyer. Click on the title to view the video. Open Auditions will be held for interested students in grades 5 through 8 on November 28th and 29th from 3:15pm to 5:15pm. Callbacks will be on November 30th from 3:15pm to 5:15pm. 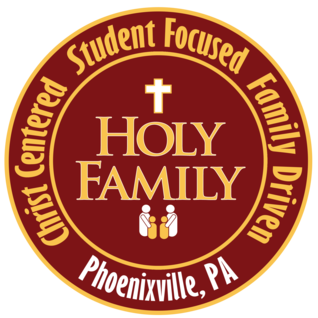 Holy Family will be hosting a Spirit Day at Iron Hill Brewery in Phoenixville on Wednesday, November 15th. 20% of your food bill on that day will be donated back to Holy Family School. Take-out is included, alcoholic beverages are not. Click on the title to print the flyer and be sure to bring it with you when you go! Please share with family and friends! The December Lunch Menu is now available. Please return the menu and payment to HFS Office no later than Friday, November 17th. Don&apos;t forget to make sure you fill in your student&apos;s name and room number at the top of the form! If you have any questions please contact: dnemceff@myholyfamilyschool.org Click on the title above to view the menu.